The culturally rich cities of Amsterdam and Duesseldorf are experiencing a heightened sense of modern design and aesthetics. It’s time to see why. 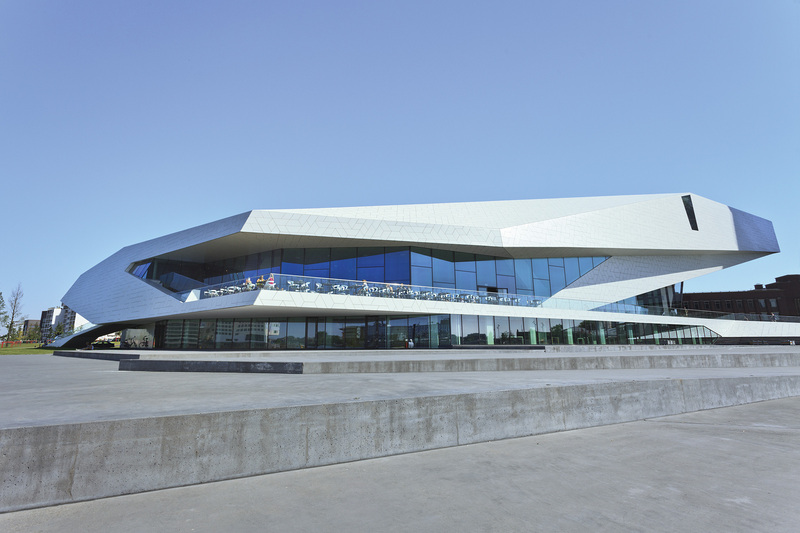 CITY LIGHTS: Built in 2012, Amsterdam’s EYE Film Institute represents power and modernization. Dutch and German language lesson No. 1: kunst. That means “art” in both languages, and today we’re seeing why it’s becoming a globally recognized term. The art scenes in the neighboring countries of the Netherlands and Germany have made huge strides on focusing on the future of art, thanks to the proliferation of their world-class academies. My interest in German and Dutch design had been recently piqued thanks to the NSU Art Museum Fort Lauderdale’s exhibition on German artist Anselm Kiefer and The Wolfsonian-FIU’s exhibition on “Modern Dutch Design.” It only seemed natural to take a trip to the motherlands to see what all the fuss is about. Home to the likes of Rembrandt and Van Gogh, the Netherlands is the birthplace of some of history’s greatest artists, and that trend continues with today’s masters. 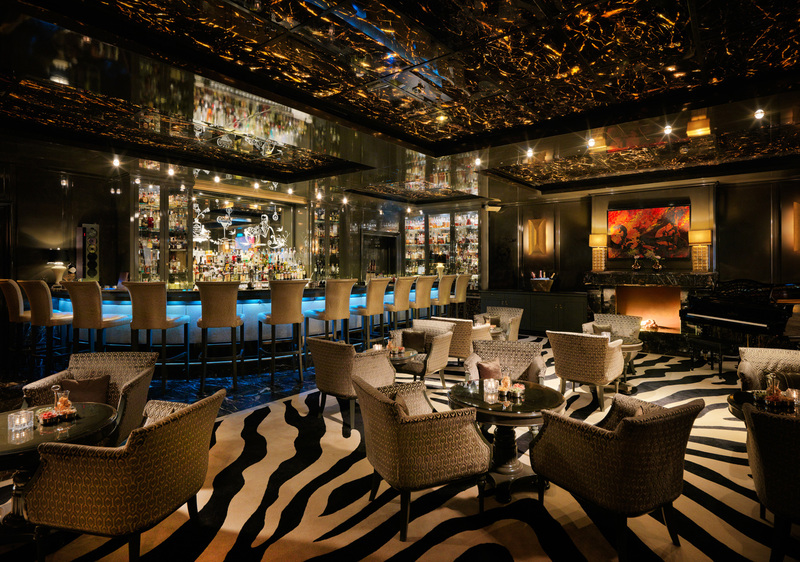 One of those is Marcel Wanders, a designer whose name may sound familiar to South Floridians who’ve seen his interiors at the Mondrian South Beach. Considered a design savant, Wanders is known for his reverential design touches, and it’s no different at one particular property in his home country. The 122-room hotel is many things, and I discovered subtle is not one of them. Expansive, bell-shaped chandeliers hang in the lobby, reminding guests of one of the first forms of communication that called a community together. The garden features a large mural depicting Alice from Alice in Wonderland in the scene where she shrinks after drinking from a mysterious small bottle, only to grow large again after grabbing a blue spoon. 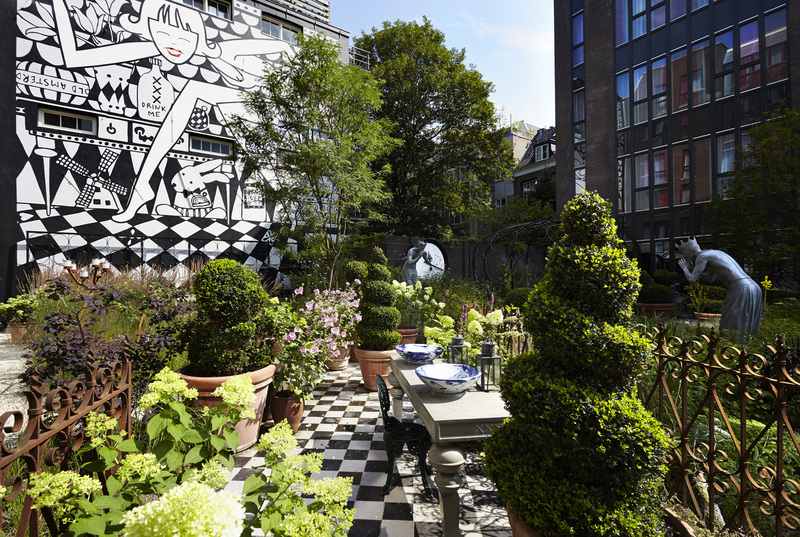 The Andaz Amsterdam Prinsengracht’s Alice in Wonderland-inspired garden. If the Andaz is anything, it’s decidedly Dutch. In the lobby sit bold, red, oversized chairs whose cushions feature a reimagined take on petals from the Netherlands’ celebrated flower, the tulip. Delft blue, the famous Dutch color found on the country’s porcelain pieces, is used in nearly every corner of the hotel, down to each guest room’s washbasin, which Wanders himself hand painted. 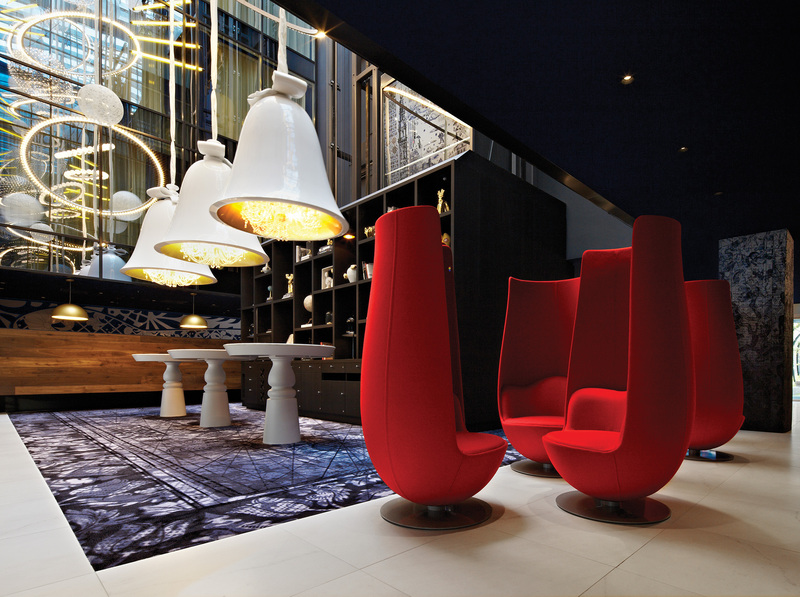 Marcel Wanders-designed red tulip chairs inside the Andaz Amsterdam’s lobby. This brings us to language lesson No. 2: eten, Dutch for “food.” The Andaz’s Bluespoon Restaurant serves European fare with a Dutch twist. Containing a truly open kitchen—no walls or barriers exist between the cooking stations and the dining area—Bluespoon exemplifies an intimate dining experience in which guests can observe how their meal is assembled as chefs rhythmically work in the show kitchen. If you think all the food-making is too distracting, not to worry; you’ll be too focused on the restaurant’s design to notice the cooking (at least I was). Wanders’ touches are found throughout the restaurant, from his Monster chairs, designed for furniture company Moooi, to his Venus chairs, designed for Poliform. The Delft blue color is prevalent, including in a mural on the kitchen’s back wall that features sweeping brushstrokes of the hue. A short train ride from Amsterdam, Duesseldorf has quietly gained strength as a metropolitan destination for jetsetters and those with a taste for finer things, something I discovered as I bounced from its old town to its newer district. This city on the Rhine River is famous for its fair share of high-end attractions, such as the Koenigsallee shopping boulevard, Germany’s equivalent of Worth Avenue. Thanks to its numerous art academies, Duesseldorf is also flooded with those looking for cultural enlightenment. One of its most popular art museums is the Kunstsammlung Nordrhein-Westfalen, home to 20th and 21st century works. 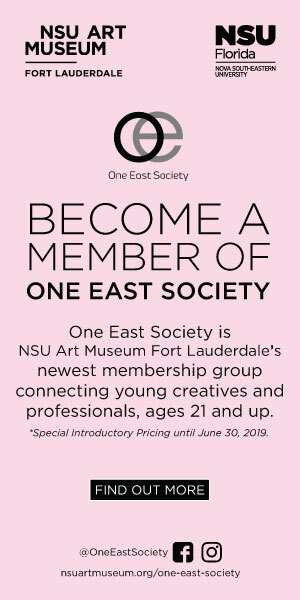 The museum has so many distinguished pieces—including a permanent collection with works by Jackson Pollock, Wassily Kandinsky and Henri Matisse—that they must be housed in three different buildings, called K20, K21 and F3. One of my favorites couldn’t even be confined inside any of the buildings; instead, it’s part of one. Sarah Morris’ Hornet is an outdoor wall of brightly colored tiles constructed in complex geometric shapes that would make even the best Tetris player stare at it in awe. For all the remarkable examples of architecture in Duesseldorf, it seems ironic that a North American designed perhaps the most famous grouping. 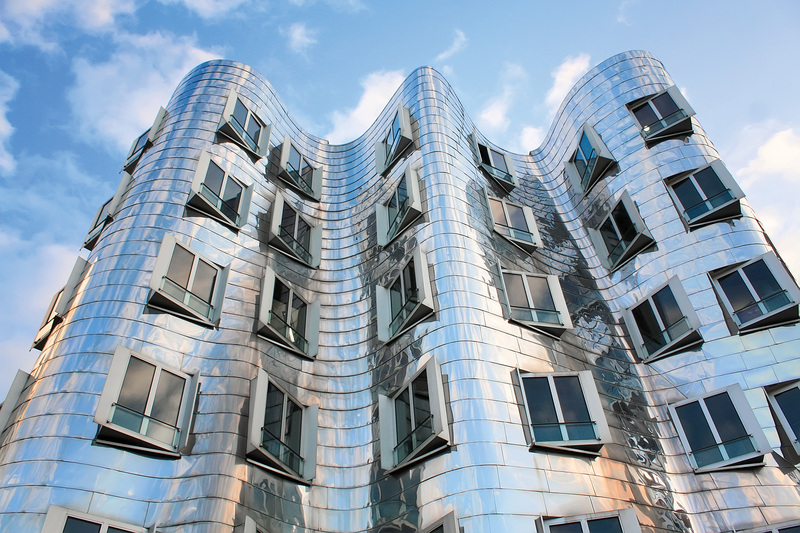 Renowned Canadian-American architect Frank Gehry created the Neuer Zollhof buildings, a series of memorable edifices that dot the Rhine. 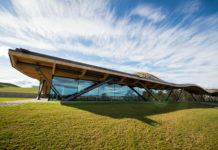 Featuring leaning facades with curved lines, each of the three structures was constructed using either red brick, white plaster or stainless steel. Frank Gehry’s famous Neuer Zollhof building in Dusseldorf. One of the standouts of art and architecture is the sophisticated Breidenbacher Hof hotel, whose current iteration is operated by Capella Hotels and Resorts, a company led by the former president of The Ritz-Carlton. 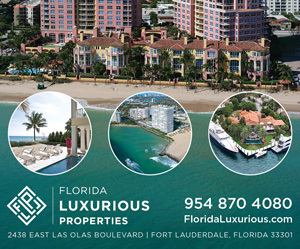 Saudi royals have been known to book season-long stays at the property. Originally built more than two centuries ago, the Breidenbacher Hof’s history includes hosting guests such as Russian Czar Alexander II and Prince August of Prussia. Today, thanks to a modern take on sophisticated service—including personal assistants who do everything from accompany guests on shopping expeditions on the Koenigsallee to obtain tickets to the Kunstsammlung Nordrhein-Westfalen museum, as was my case—it’s no surprise the Breidenbacher Hof received the prestigious Hotel of the Year Award in 2015 by publishing house Busche. Duesseldorf’s Breidenbacher Hof hotel’s swanky bar. This brings us to our last language lesson: Mooi in Dutch and schoen in German both mean “beautiful,” and that’s exactly how I would describe a trip to these countries.